The folding wooden beard comb is our staff favorite because of its portability, hygiene-augmented design, and conservative outdoor style. Men everywhere are learning that routine combing helps stimulate hair follicles so you can grow a stellar beard while promoting a healthy and well-groomed appearance. 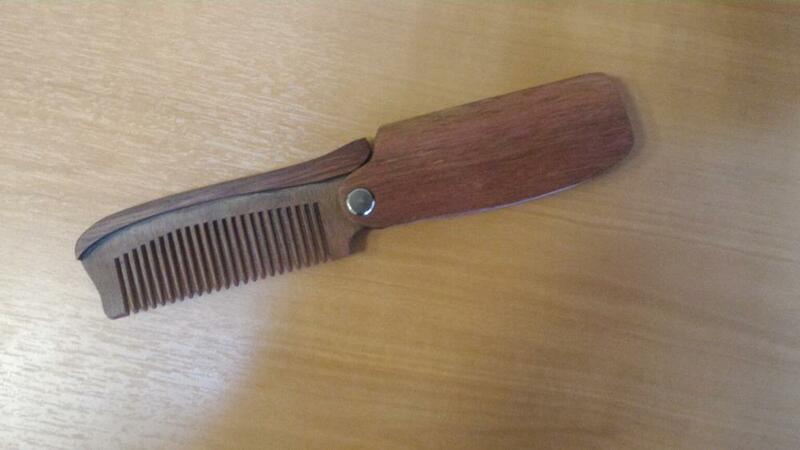 Even the type of comb used can have a profound influence on the health of your beard follicles. For instance, cheap combs will literally tear your beard apart and do damage which will ultimately make your beard appear unkempt. This is why choosing the perfect comb is so essential. Unfortunately, it’s often overlooked by beards-men around the globe. 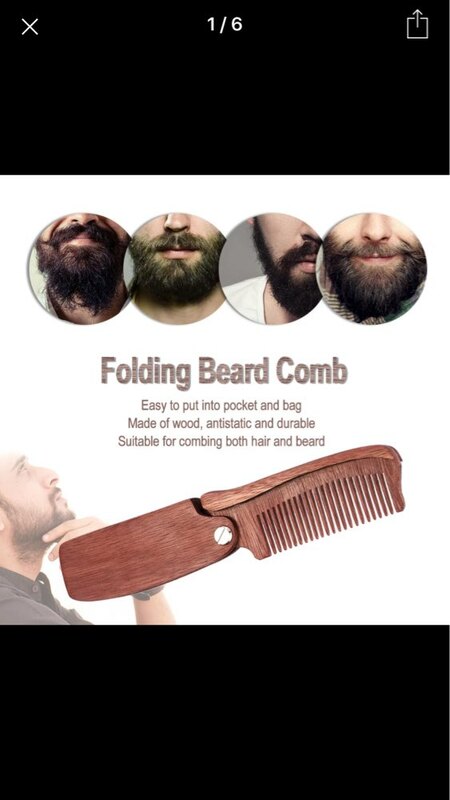 This beard comb is the right choice for a myriad of reasons. Most notably, the rugged, portable, wood comb evenly distributes naturally-occurring oils, thus producing a symmetrical, lustrous, and attractive appearance. And it does this all while avoiding follicle breakage, snagging, and static electricity. 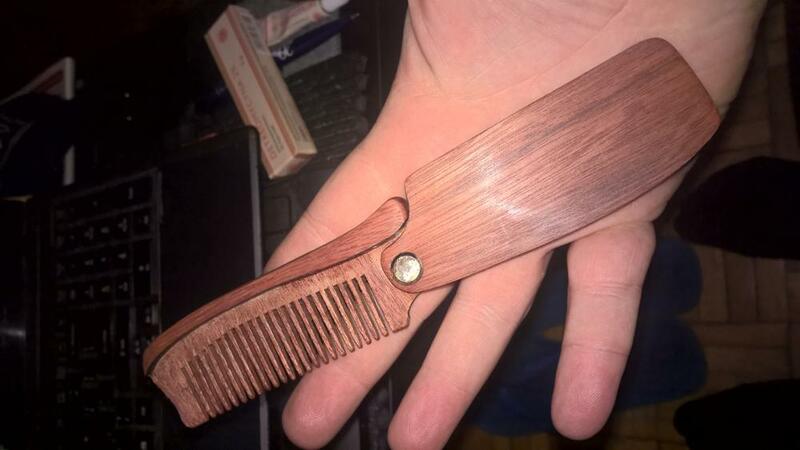 There’s never been a better beard comb that delicately moves through your beard while getting the job done right. NATURAL SANDALWOOD: Naturally tough and great smelling, 100% sandalwood construction means a comb that will last years. POCKET-SIZED: Folds for easy storage, easily fitting into pockets. ANTI-STATIC: Don’t worry about frizz! Sandalwood doesn’t cause static electricity build up like plastic or metal. EVERYDAY CARRY: Grooming is an everyday activity, so our combs are designed for everyday use and carry. The Comb is Made of wood – 100% made of natural materials. It’s smooth and comfortable that leave your hair looking striking and you feeling great. Folding Comb – The comb is sturdy and feels good in the hand. The folding design to protect it from being broken or dirty when you put it in your pocket or bag. It Will not snag hair like the plastic comb and it is no static. Pocket Sized – Perfect size for you to tame your beard and head hair when you’re away from home, very easy to carry with you. Sandalwood is characterized with exceptional quality. It is very hard, heavy and strong. Products made of this wood are really durable. It is excellent for combing hair, massaging the skin and stimulating the growth of a beard. Use this wood comb to avoid that clingy static electricity caused by plastic. Benefit from the durability of 100% natural sandalwood. Wood bristles decrease breakage and damage to the hair. Unlike metal and plastic, a wood comb is easy on the scalp. Prevents your hair from drying out by evenly distributing oil from the skin to your follicles. Perfect size for any voyage: Measures 18.2*3.5cm/7.2*1.3in. Good product, consistent with the description, very handy and nicely made. I recommend !!! Looks great, brushing is a pleasure. Thank you. Happy with it. Good quality. Very nice, fastest shipping in Ali history! Расческа хорошая. Все ровненько, как карманная для бороды пойдет на все 100. Но…. винт раскручивается раз в месяц, можно было бы на фиксатор резьбы посадить или законтрить!